We often take for granted the treasures in our own backyard. At least that is true for me, I lived on St. Simons Island all my life and didn’t climb to the top of the lighthouse until I was a volunteer for my daughter’s first-grade field trip. Sometimes I felt my husband, a newcomer but a history fan, knew more about the local lore than I did. While visiting the Island last summer, I took my children on a trolley tour as research for the Flash Fiction piece I was writing. As I write more and more about St. Simons Island for my contemporary fiction novels, I find myself looking at my hometown from an entirely different light. I even acquired a detailed street map from the visitor’s bureau because as a native, I didn’t know some of the street names. We always just knew where we were going. 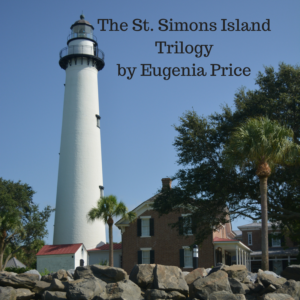 As part of my self-education of St. Simons Island History, I decided to read Eugenia Price’s St. Simons Island trilogy. Although the books are historical fiction, I think they are more fact than fiction. The stories of the families who founded St. Simons Island from just after the Revolutionary War to Post-Civil War days created a new appreciation for both local history and national history. If you live on the Island and have not read these books, I highly recommend them. You will recognize the names of our neighborhoods, streets, and parks. If you are interested in Southern History, I also think you would enjoy these books. The first book, The Lighthouse, is the story of James Gould and starts in New England. An extra benefit for me was the mention of a town in Maine that Carlton and I visited last summer. James Gould arrives in the South and is a successful tree farmer before he makes his way to St. Simons Island where he builds the first Lighthouse and becomes a cotton farmer. The second book, New Moon Rising, is the story of James Gould’s son Horace. After being removed from a Northern school, Horace returns to the South and after a lengthy detour in New Orleans, he finds his way back to St. Simons Island. His story explores many issues surrounding the Civil War. The third book which was actually the first book Price wrote in the series is The Beloved Invader. This book is the story of Anson Dodge and Anna Gould, Horace’s daughter. Anson Dodge rebuilt Christ Church Frederica after the Union soldiers destroyed it during the Civil War. Before writing fiction, Eugenia Price wrote many non-fiction Christian works. She was born in Charleston, West Virginia and worked in Chicago, Illinois in radio soap-opera programming. 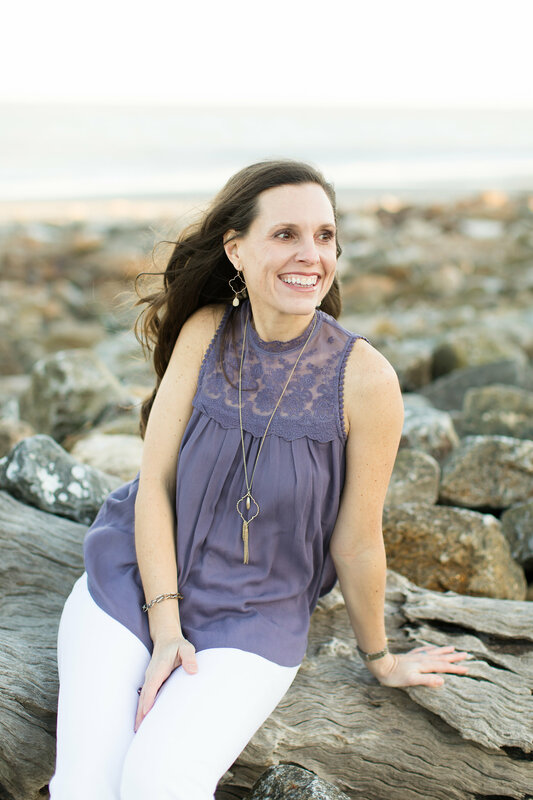 She then went on to write a number of books on Christian Living and devotionals. She wrote fourteen historical novels. Some of the others are set in other parts of the Coastal Georgia and North Florida. Isn’t it funny how an outsider can provide such insight on the ordinary things of our lives? As much as the history of St. Simons Island interested me, what I adored most was Price’s descriptions of the Island—the plants, trees, beaches, rivers, and marshes. The places of my life. We should all take time to notice and enjoy the world around us, and the magnificence of God’s creation. I hope in this new year, you slow down and experience how beautiful our world is in whatever place you call home. I read the her trilogy many years ago before I move to Glynn County. For some reason, I re-read them a couple of months ago. I loved them even more when I recognized the names and places. Thanks for the reminder. Libby and I both read them. It was fun discussing them with her. I think they should be required for students in Glynn County. These are some of my all time favorite books. Thanks for the reminder – I need to go find them and read them again!